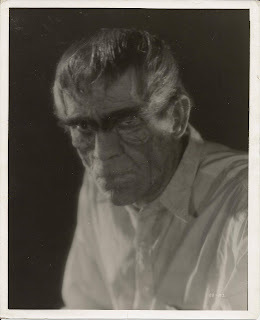 Creeping in the shadows is Boris Karloff from "The Ghoul". 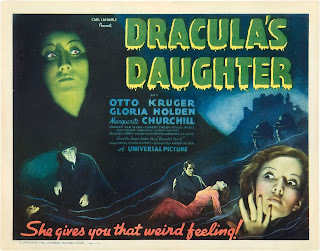 I love this piece of Vampirella with Forrest J Ackerman's final resting place. 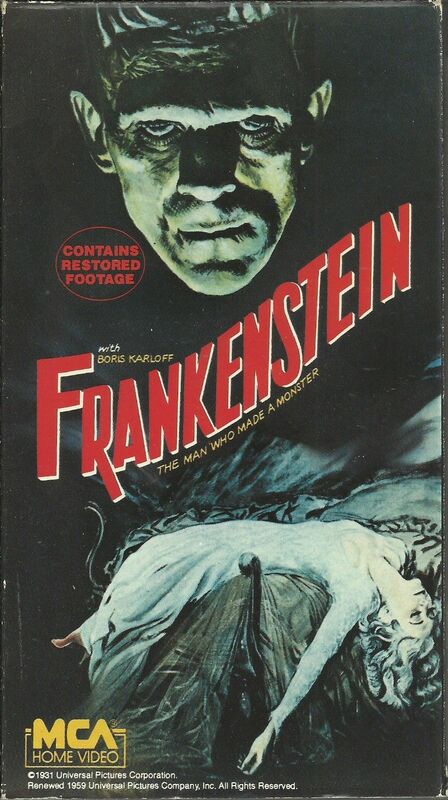 This is how I was introduced to "Frankenstein" when I was a baby. 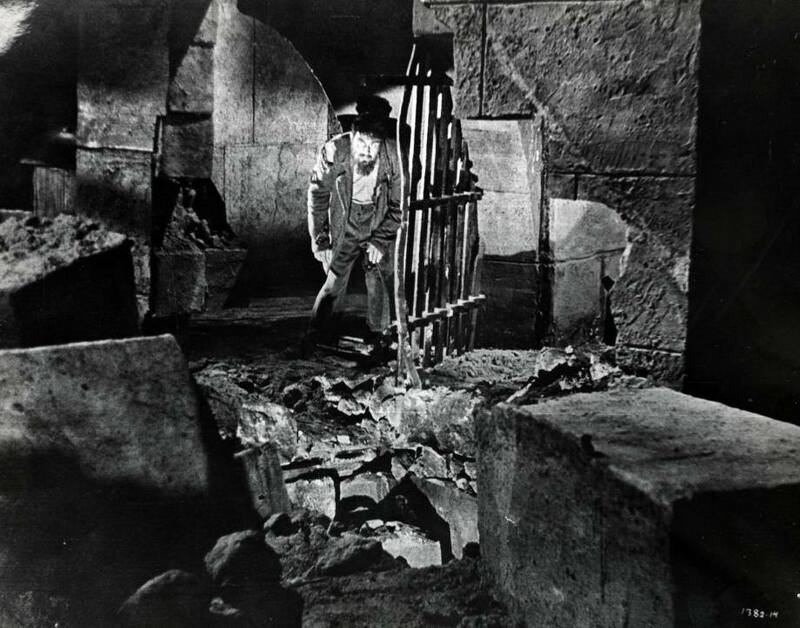 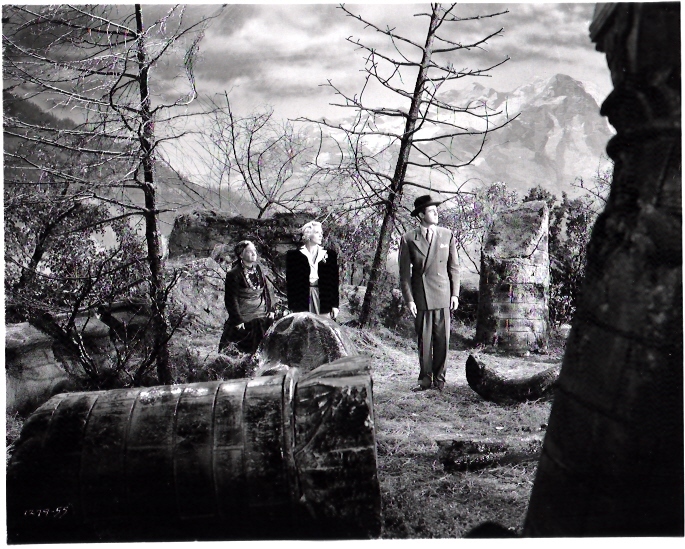 The group searches for Larry Talbot in the Frankenstein Ruins in "Frankenstein Meets the Wolf Man". 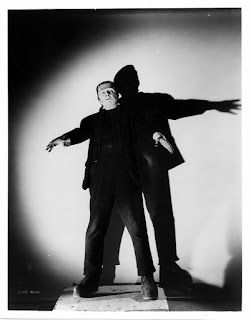 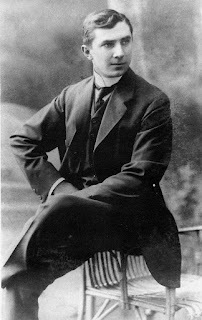 No, Bela Lugosi was not in "The Invisible Man", but he was in "The Invisible Ray" as pictured here. 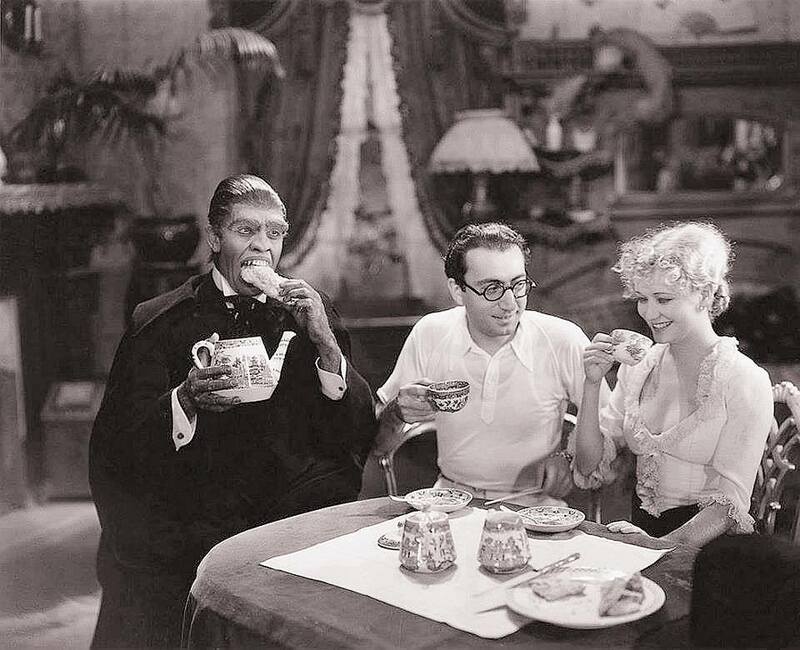 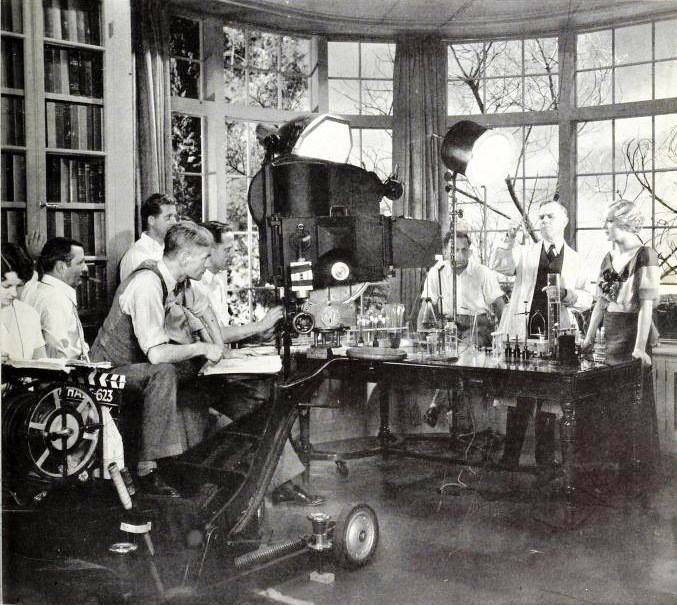 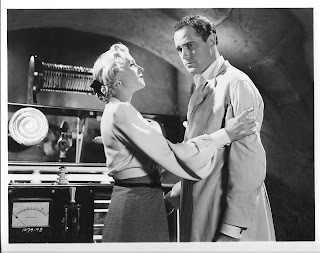 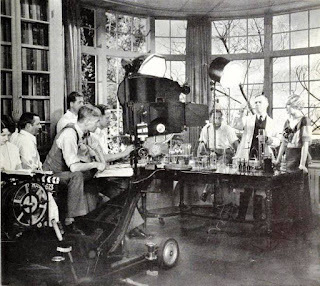 Here's a great behind the scenes shot from "Dr. Jekyll and Mr. Hyde" featuring Fredric March, Director Rouben Mamoulian, and Miriam Hopkins. 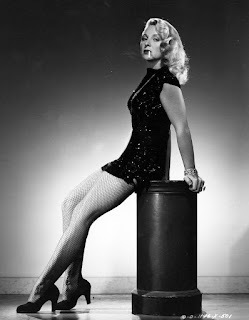 Yet again, another lovely photo of Evelyn Ankers. 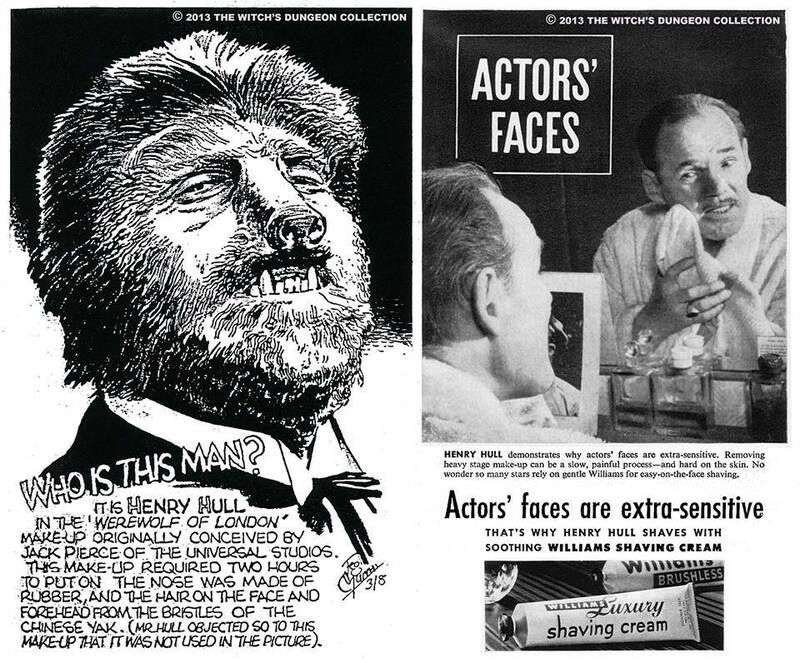 From "Frankenstein Meets the Wolf Man". 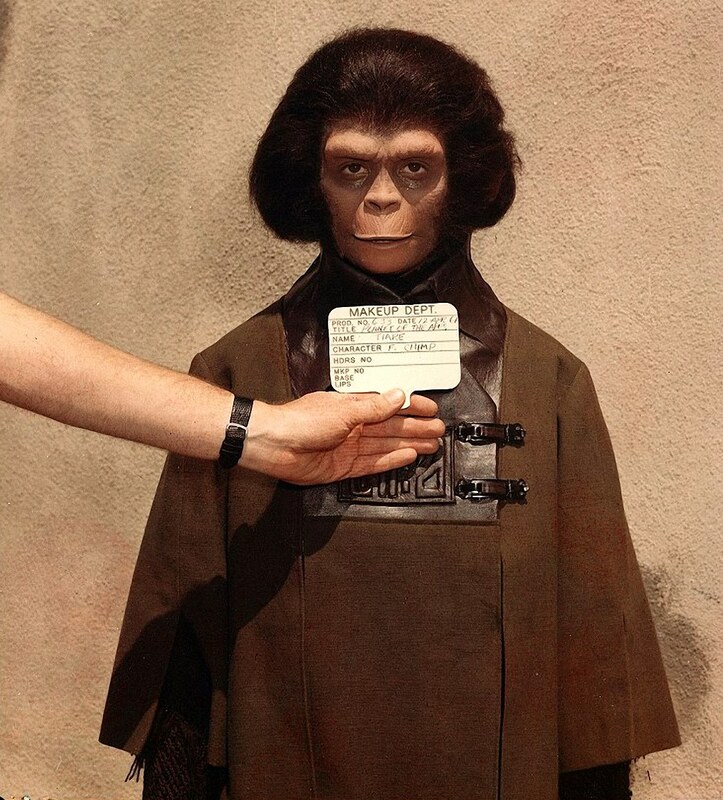 Here's a great Make-Up Test shot from "Planet of the Apes". 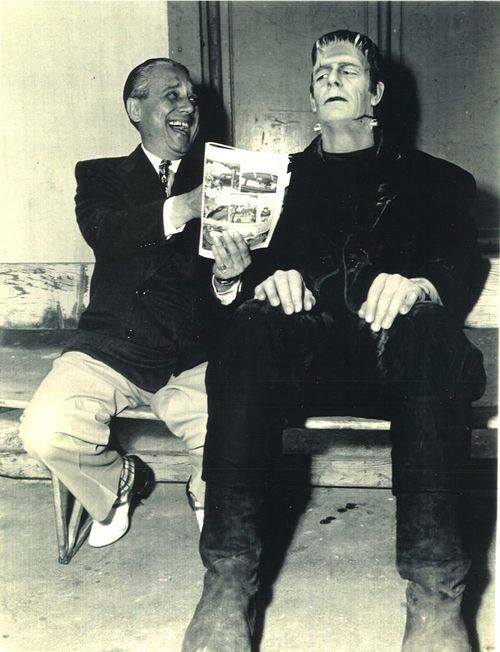 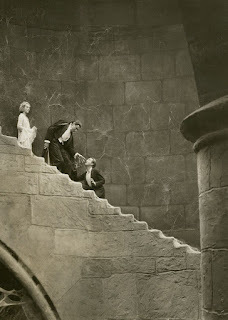 From the set of "House of Dracula". 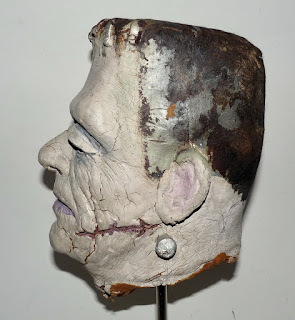 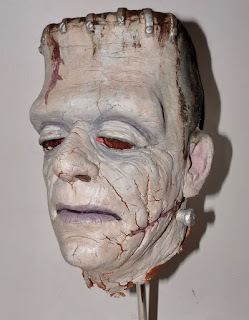 My favorite of the Don Post Calendar masks was always the Glenn Strange Frankenstein. 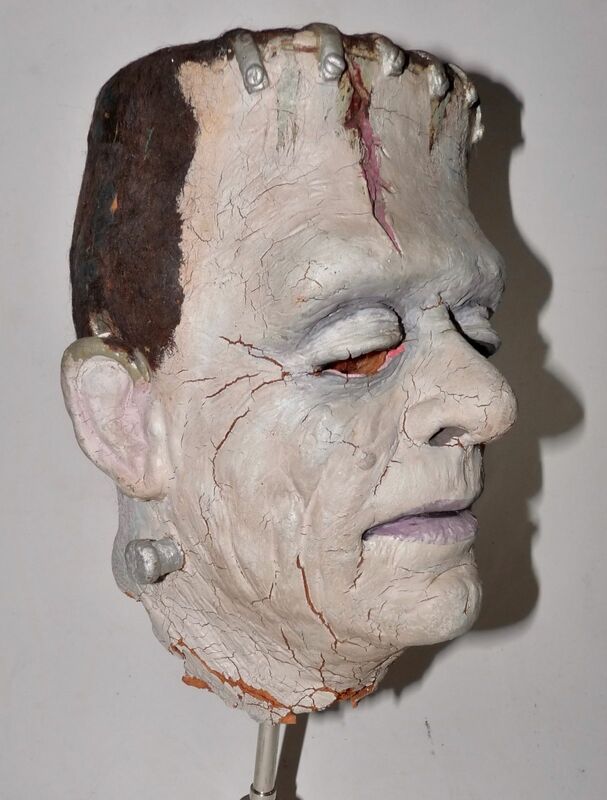 Somewhat recently, an original was up for auction on eBay. If I remember correctly, this may have also been the one that was on display at the Hollywood Wax Museum. 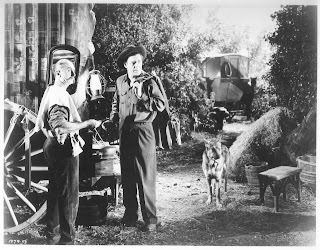 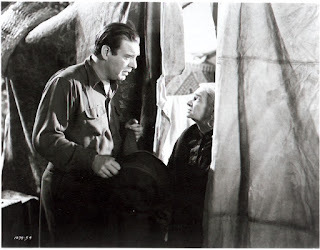 Larry Talbot enters a Gypsy camp to find Maleva in "Frankenstein Meets the Wolf Man". From the climax of "Dracula". 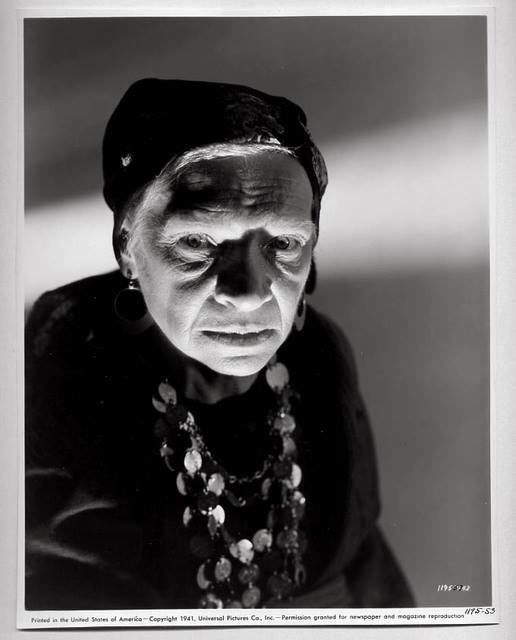 Here is Maria Ouspenskya as Maleva from either "The Wolf Man" or "Frankenstein Meets the Wolf Man". 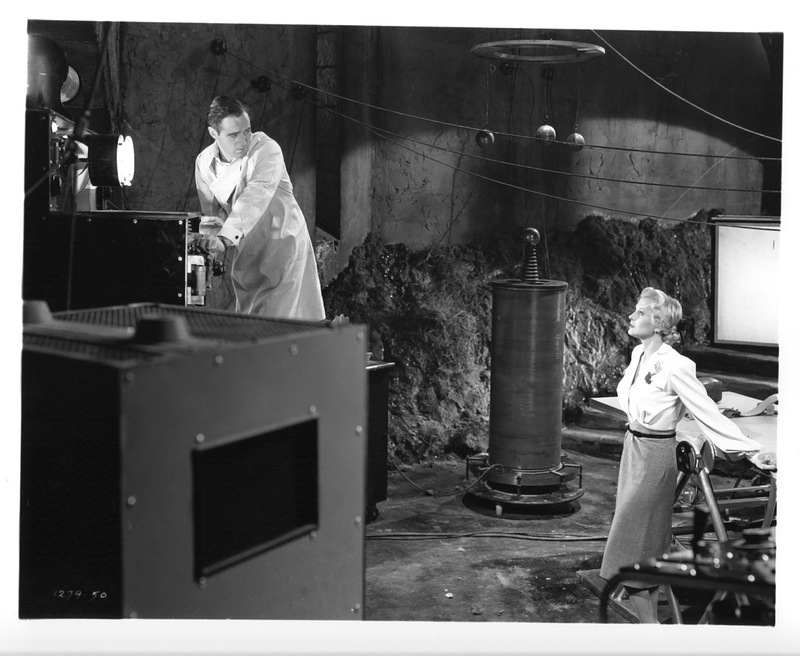 Dr. Mannering does some electrode adjusting in "Frankenstein Meets the Wolf Man". 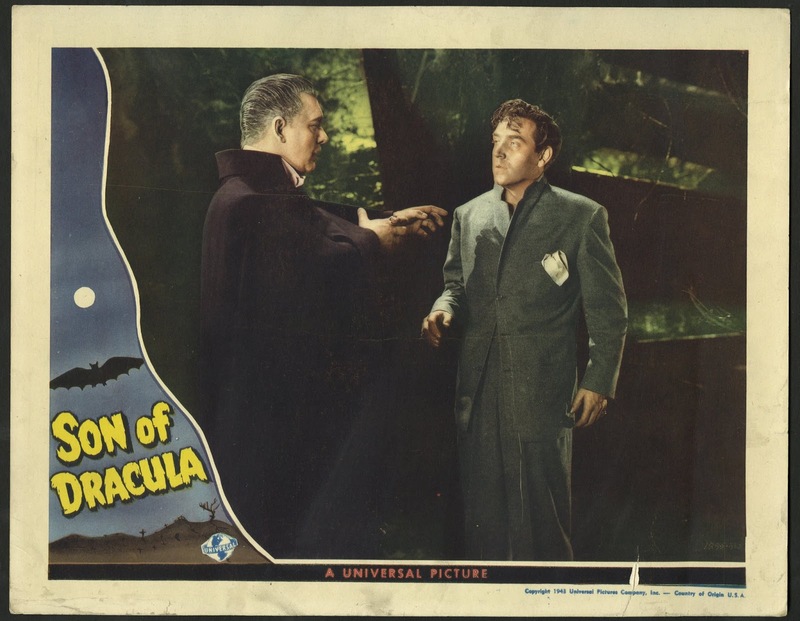 Who knew he would become the legendary Count Dracula? 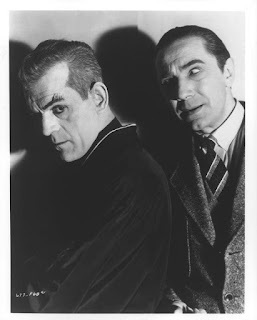 Boris Karloff and Bela Lugosi on the set of "The Black Cat". 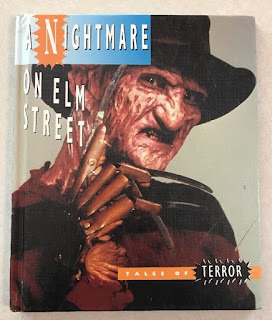 These children books on slasher killers look so neat! Here is the "A Nightmare on Elm Street" edition. 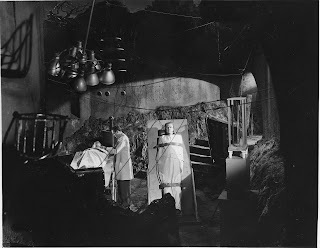 Dr. Mannering does some last minute adjustments as Elsa Frankenstein looks on. Anne Gwynne and Peter Coe go over their lines as John Carradine looms above. 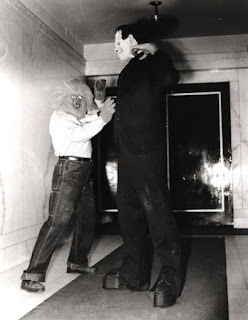 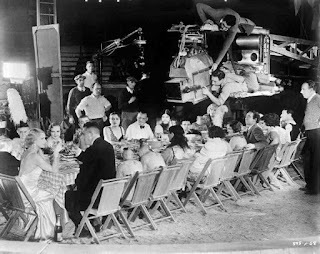 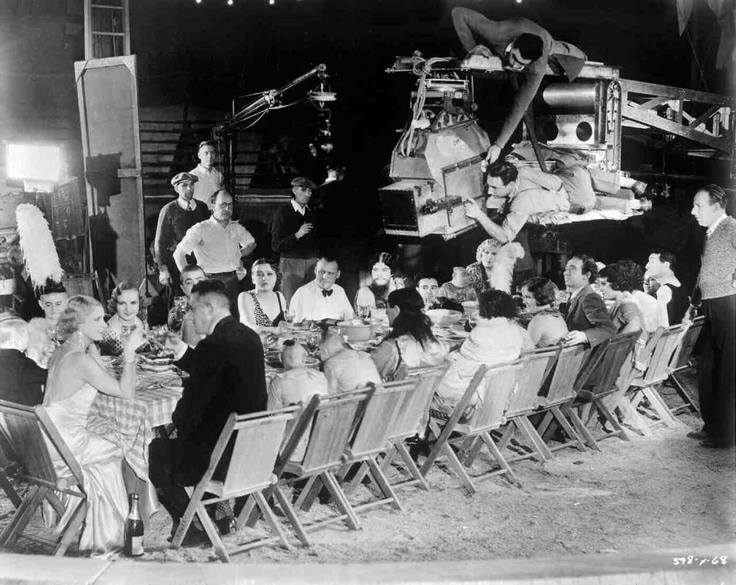 Behind the scenes of "Freaks". 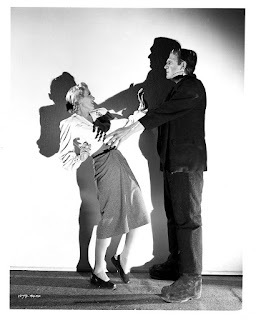 As Larry and Maleva talk, the Monster looms in the background. 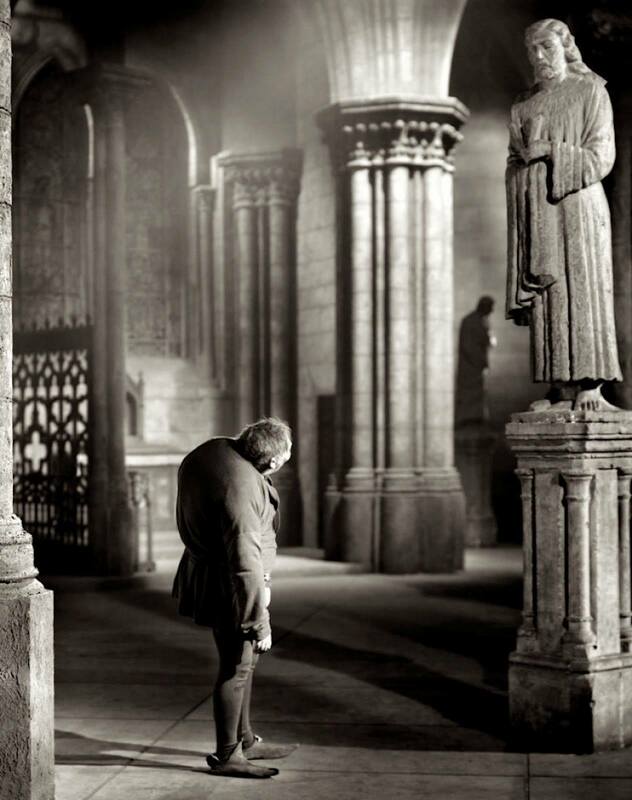 Quasimodo looks up to one of his stone friends in "The Hunchback of Notre Dame". Here's a rare behind the scenes shot from "The Invisible Man". Ilona Massey tries her best to persuade Patrick Knowles from reviving the Frankenstein Monster in "Frankenstein Meets the Wolf Man". 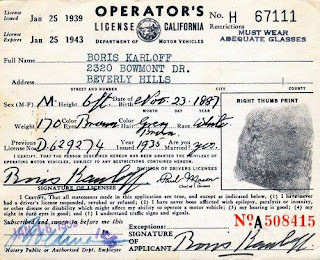 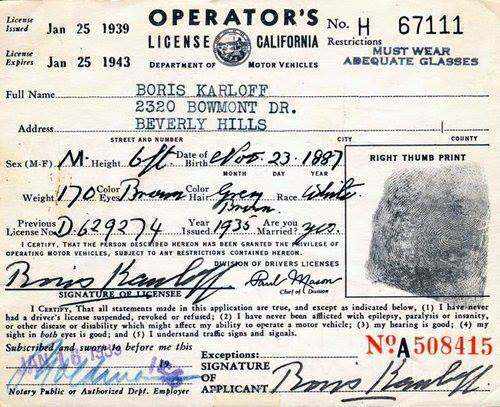 Monster Movie Posters: "Dracula's Daughter"
Have you ever wanted to see Boris Karloff's driver's license? Well here it is! 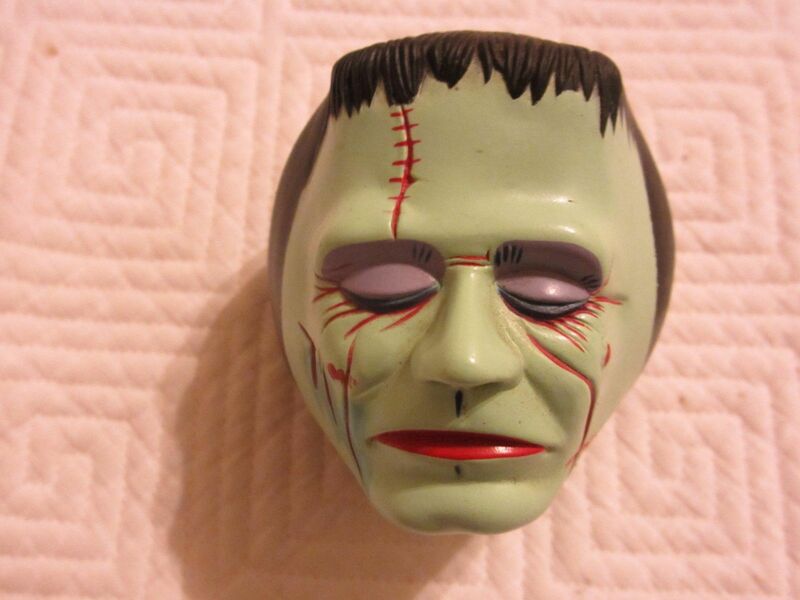 I've always wanted this Frankenstein ball from the 1980's. Maybe one day! Here is the setting of the climax of "Frankenstein Meets the Wolf Man". 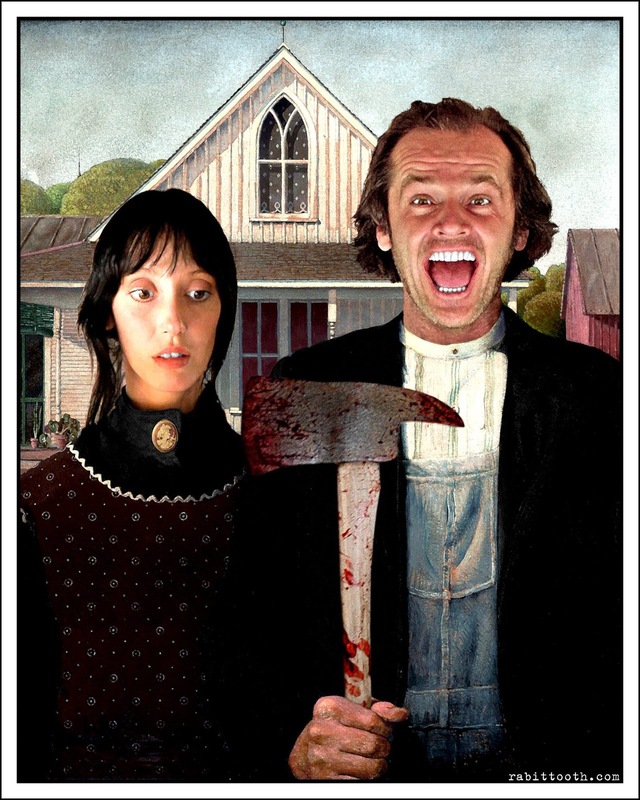 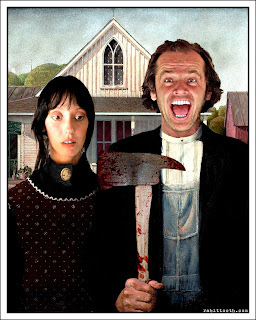 Here's a fun rendition of the American Gothic painting featuring Jack Nicholson and Shelley Duvall from "The Shining". 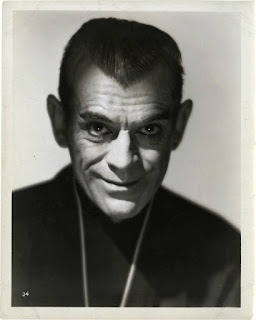 Boris Karloff from one of his finest films "The Black Cat". 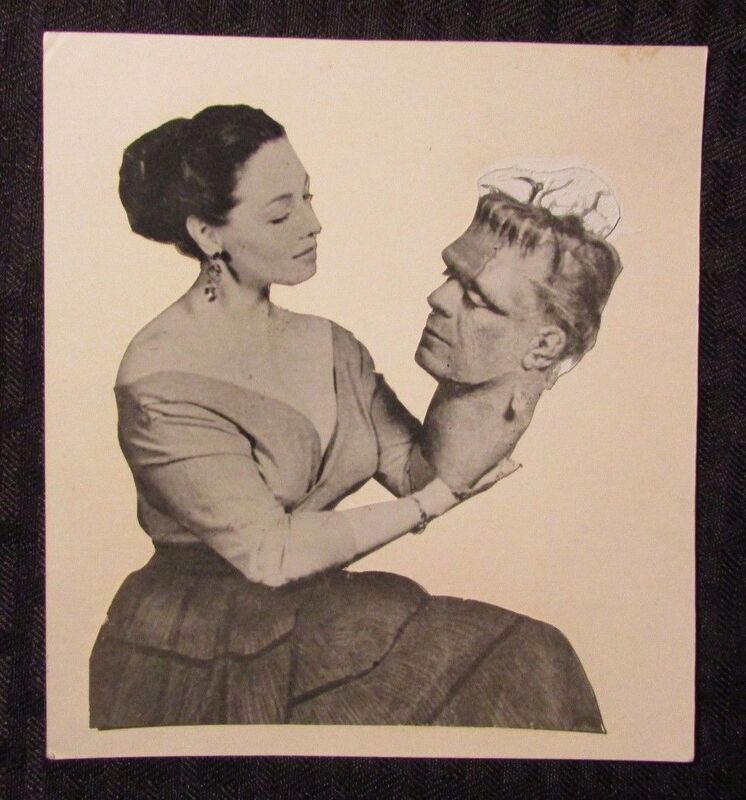 Here's Milicent Patrick, who designed the Creature From the Black Lagoon for starters, with the head of Frankenstein used in "Abbott and Costello Meet Frankenstein". 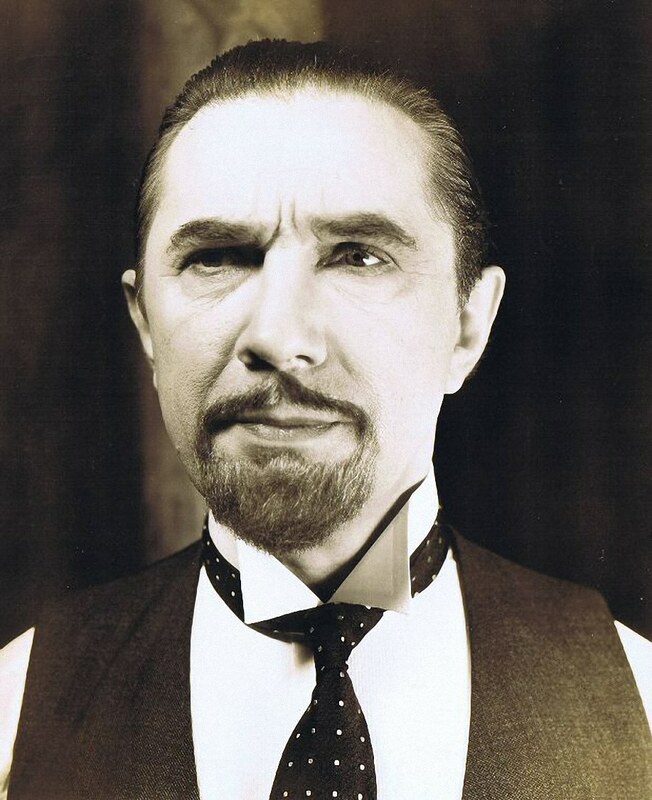 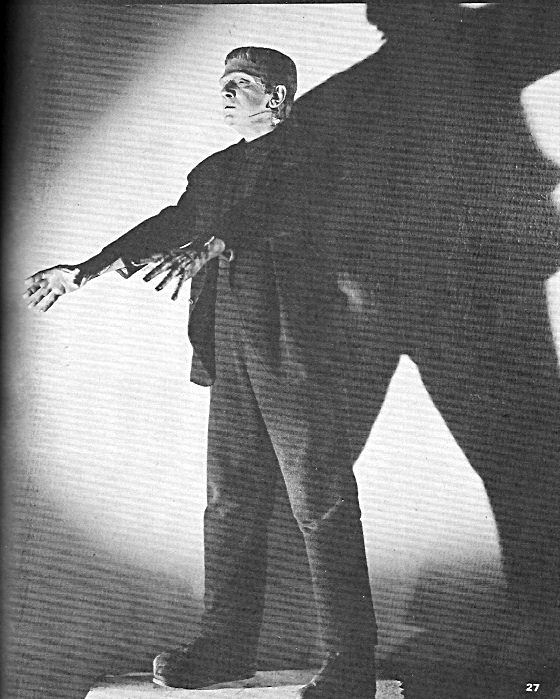 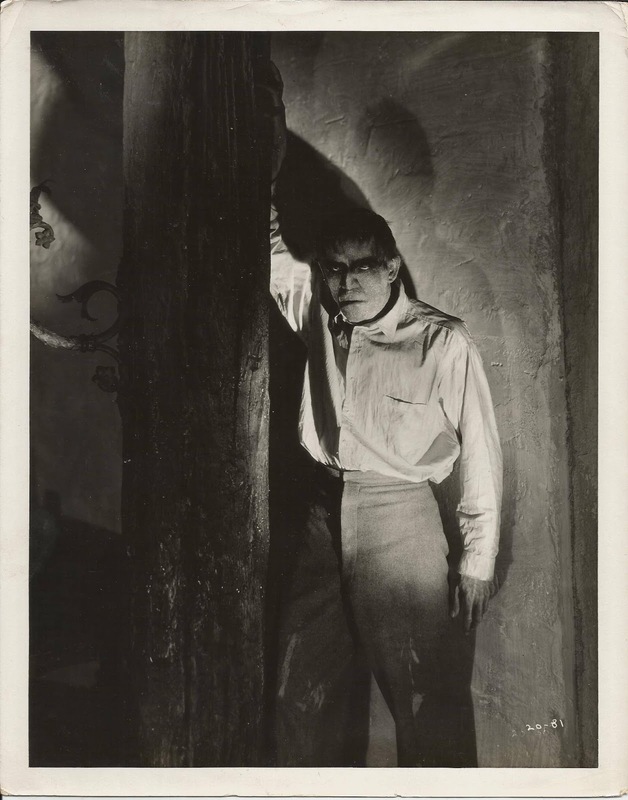 Bela Lugosi as the Monster from "Frankenstein Meets the Wolf Man". Sarah Michelle Gellar as the Chosen One. 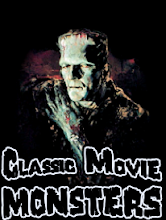 Daniel is now free in "House of Frankenstein". 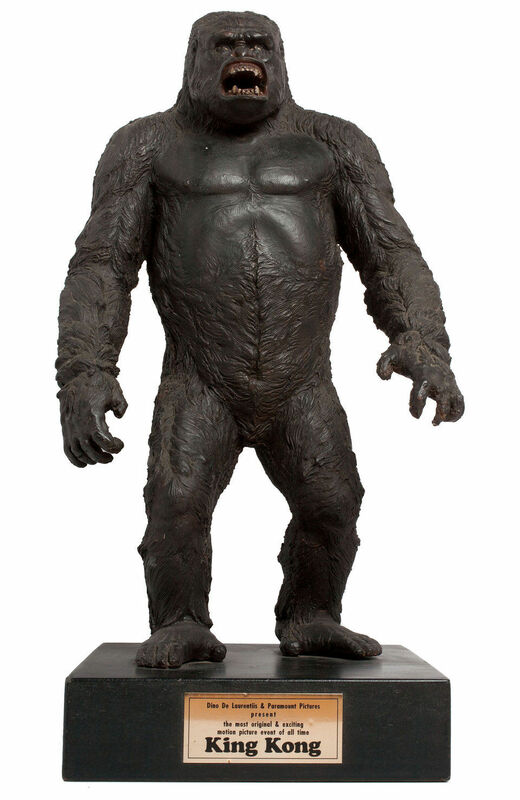 Here's a close up of the statue given out to production members of the 1976 version of "King Kong". Bela Lugosi as the Frankenstein Monster from "Frankenstein Meets the Wolf Man". Frankenstein Meets The Wolf Man? 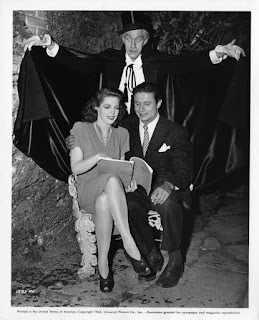 But that's not Lon and Bela! 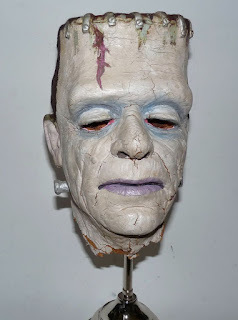 This time from the front. No one wants to dance with Frankenstein! Monster Movie Posters: "Son of Dracula"
Henry Hull endorses this shaving cream and the drawing of him from the "Werewolf of London" is based on an early version of Jack Pierce's design that was used as a basis for "The Wolf Man". 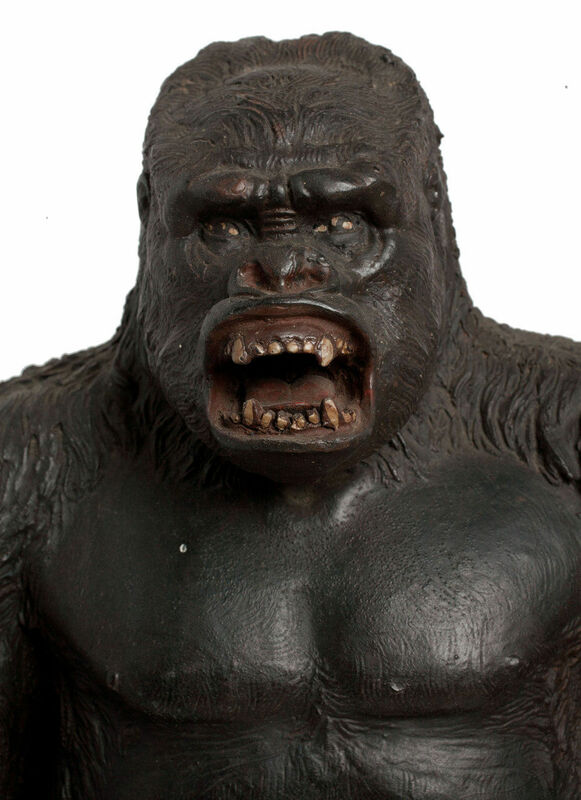 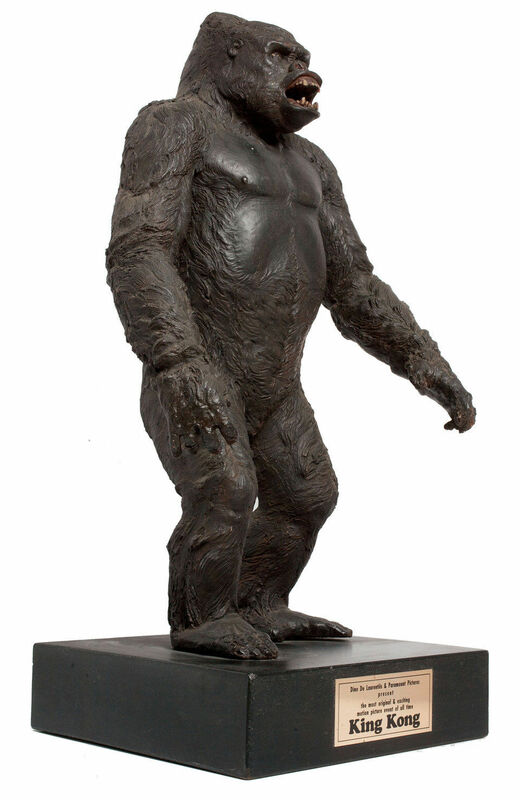 These special statues were created as a promotional item for the 1976 version of "King Kong". 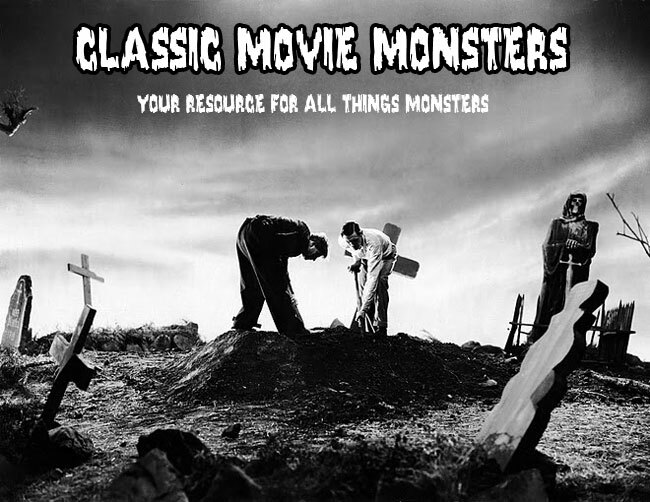 Welcome Foolish Mortals to Classic Movie Monsters!